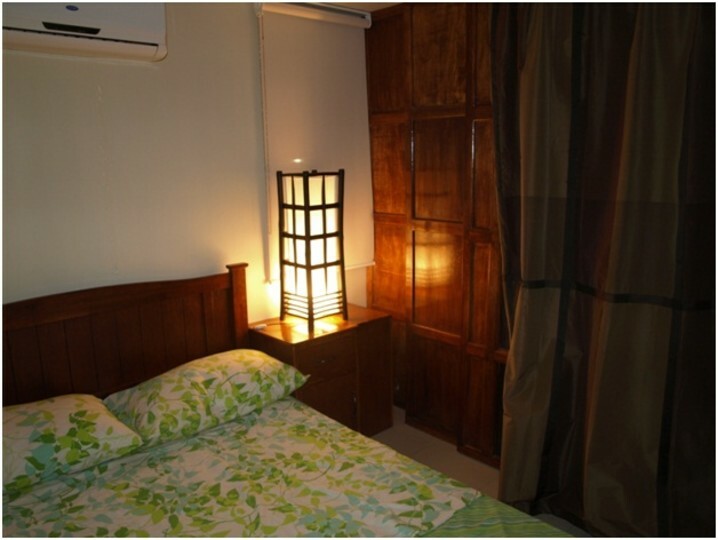 Enjoy backpacking with amenities such as swimming pool, hotel like lobby, basketball court, gym and more within a affordable price. This is the place to stay when you want to be close to everywhere! Dansalan Gardens Condominium, highly recommend for backpackers, tourists and professionals. It’s location is in the centre of Metro Manila. 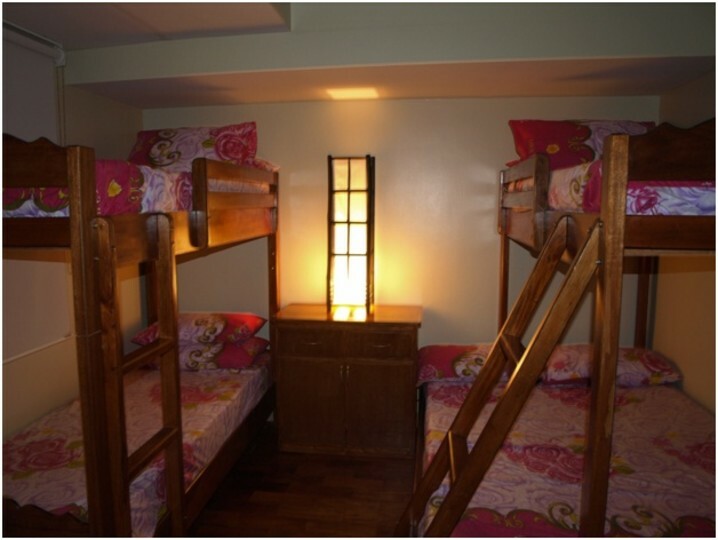 This hostel is one of the best in a few ways for its cleanliness, security, upkeep, and friendliness of staff. The accommodation offers very good value for money., The free homemade breakfast is generously sized to get you going for the day. Dansalan Gardens Condominium is conveniently located, a 10 min easy walk from MRT Boni Station and near plenty of places to eat, from fast food chains to hole-in-the-wall to carts to vegetable stalls. Wi-Fi, computer access and lockable compartments for valuables is included. Its unique situation as a unit in a regular condo development gives it its secure and laid-back atmosphere, as well as included access to a very nice pool, poolside hangout, and fitness gym. When you reach the entrance gate of Dansalan Gardens Condominium, tell the guards that you are a guest in MC Paloverde Tower, ask him to point to you the Paloverde Tower so you can direct the driver to drop you off at the lobby. At the lobby, when ask by the receptionist what unit number, just advice that you are a guest of Mezzanine C “MC”, NO NEED TO MENTION PINOY BACKPACKERS. They might call our unit to inform that you are coming or sometimes they would just allow you to go up. In an elevator, just press M and look for our unit “MC”. What. Wonderful respite from the road, especially being able to relax in the swim pool! Unfortunately, if arriving in darkness/late, transportation options are severely limited. If using taxi/grab/etc., Di not GIVE the driver partial information—there is also a Pinoy Hotel, (which is close to the airport) completely unrelated to Pinoy BACKPACKERS (which is far from the airport). Not really a hostel, but a converted condominium bathroom. Entirely lacking in travel-oriented literature & resources. Guestbook showed very, very few occupants in preceding months. Check-in required 2 hour wait before anybody arrived. No signage, poor directions. Old, worn sheets, mildew in bath, sketchy neighborhood, rip-off taxis. From the airport always look for the yellow colored taxi cab because they will charge you based on meter just show them the address above including the map so they can take you here easily. Normally from the airport fare would be around PhP200.00 – PhP300.00 (US$5 to US$6) depending on traffic. When you reach the entrance gate of Dansalan Gardens Condominium tell the guards that you are a guest in MC Paloverde Tower ask him to point to you the Paloverde Tower so you can direct the driver to drop you off at the lobby. At the lobby when asked by the receptionist what unit number just advice that you are a guest of Mezzanine C “MC” NO NEED TO MENTION PINOY BACKPACKERS. They will either call our unit to inform that you are coming or they would just allow you to go up. In an elevator just press M and look for our unit “MC”. Buses / Public Transport from the Main road E Delos Santos Avenue "EDSA")going around the City are available. The nearest land mark is Boni Avenue - Pioneer Station. South and North Ports Manila are about 30 minutes drive depending on traffic. We are strategically located within Metro Manila. Mandaluyong is in between Makati City and Quezon City and is just a few kilometers away from Downtown Manila. Address: Dansalan Gardens Condominium Mezzanine C Paloverde Tower 347 M. Vicente St. Brgy. Malamig Mandaluyong City Philippines Phone: +63 2 5847623 or +63 2 5848756 Website: www.pinoybackpackers.com Parking is available with additional fee. Another convenient way to reach our backpackers is to Take the Metro Rail Transit (MRT) and its just 15 minutes walk from Boni Avenue - Pioneer Station.